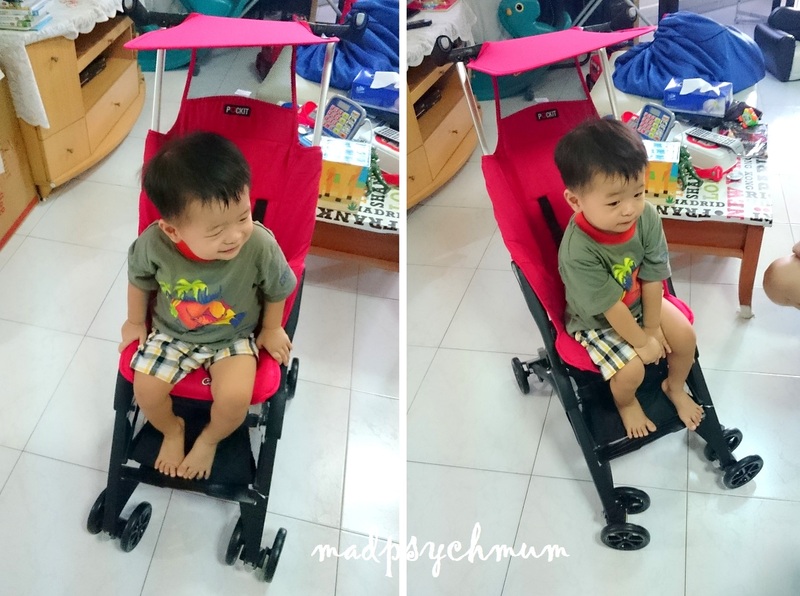 I've been wanting to write about our latest stroller but haven't had the time till now. 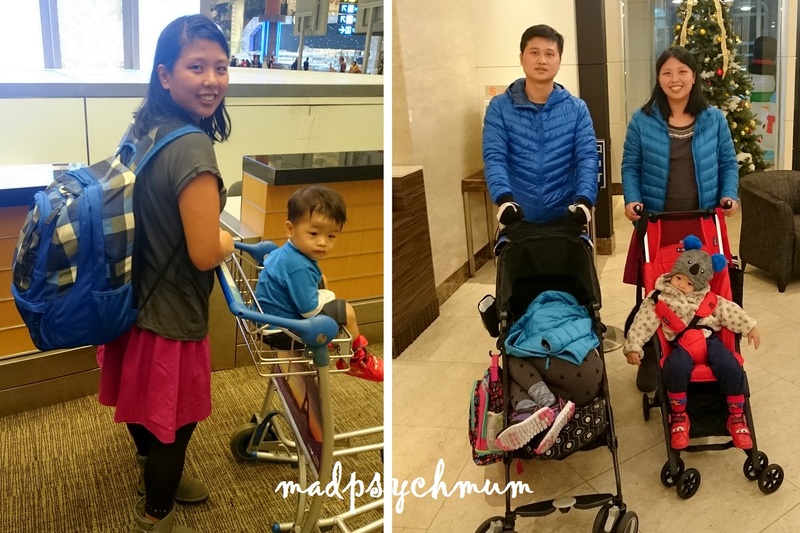 It's by far the only stroller that we've ever owned that can fit into my backpack! Yup, it's the legendary Pockit, the world's smallest folded stroller. There are two brands (that I know of) that produces the Pockit stroller: Goodbaby and CocoLatte. I bought the latter because it 1) was cheaper (I paid only S$199), and 2) was not out of stock. The key difference between the two is probably the material and colour of the seat (CocoLatte does not have as many colours) but it does not affect the functionality of the stroller so I'm not bothered by it. Look at how small it is! The smallest fold as seen above requires you to fold the two back wheels in but you can also choose not to fold it in (it's a faster close). I bought it when my boy is about 1.5 years old and he rides in it till now. I brought it to Tokyo and packed it into my backpack as I had planned to bring onboard the plane. It was the first time that I was able to bring his stroller onboard the plane and use it the moment we landed. Right: We brought both our lightweight strollers for the trip so that both kids can nap whenever they wanted. The seat can't be reclined though so your child may have difficulty sleeping. My kids sleep anywhere as long as they are sleepy so it didn't pose a problem for us (as you can see below). Overall, if you're looking for a toddler stroller that's compact and light then I highly recommend this. If you need a stroller that can serve as your trolley or baby's bed but still lightweight then you might wanna consider my Peg Perego Pliko Mini (will write about it soon as I love it just as much! =D). If you need a heavy-duty double stroller, you can consider our Baby Jogger City Select, which is great for when both kids need to nap.